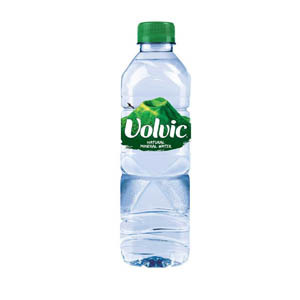 Tapped from the mystical Clairvic Spring in France's Auvergne Regional Park, Volvic Water is the top selling brand in France, Germany, the UK, Japan and Ireland. 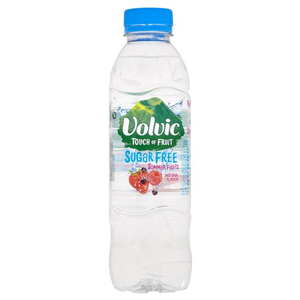 Volvic Touch of Fruit is available in a full range of flavours, and Zepbrook stocks Lemon & Lime, Strawberry and Orange as well as traditional still water. 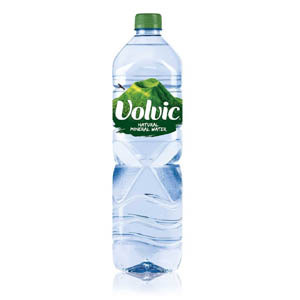 Get your Volvic Water from Zepbrook tomorrow: order before 5pm if you're in London (or the M25 area). Do you need bottled waters that are not currently listed on our website? Contact us - we can source and deliver many other products for a competitive price. Call us now on 020 8752 0110 or enquire online. 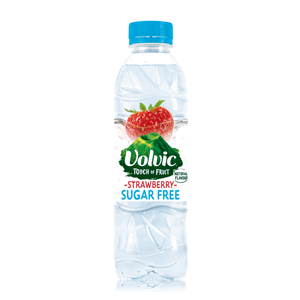 Sugar free Strawberry flavoured water. Sugar free Lemon & Lime flavoured water. 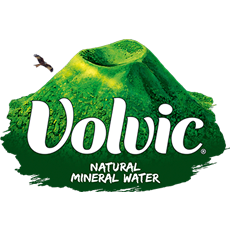 In a unique preserved ecosystem, Volvic Natural Mineral Water filters slowly through 6 volcanic layers giving Volvic its unique mineral composition. 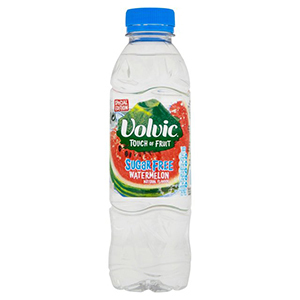 Refreshingly fruity sugar free volcanic water with a touch of natural watermelon flavour. Still natural mineral water with natural flavourings and sweeteners. Enjoy this refreshing mineral water with lunch or on the go!